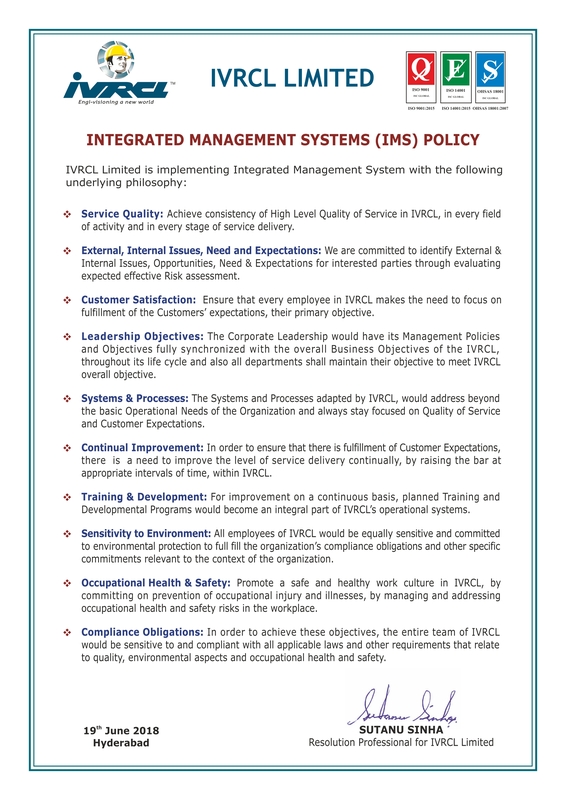 Commitment to customer satisfaction, quality awareness, desire for excellence and continual improvement is our motto. 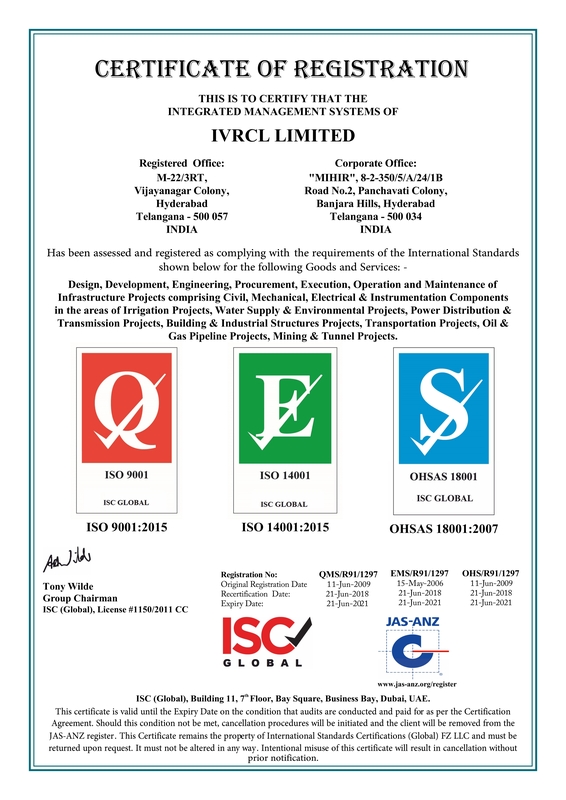 IVRCL has put in place stringent policies to create a safe and healthy environment at the project sites. The Company's policy for Health, Safety & Environment has been consistent towards achieving a ZERO Loss Time Injury. © 2019 IVRCL. All rights reserved.